Job hunting is unquestionably difficult. Applicants can compete with tens of thousands of other job seekers, and they're placed under intense scrutiny. There are several points during the interview and salary negotiation process for things to go off the rails. The process isn't any easier from the employer's side either, I'm sorry to say. As recruiters, hiring managers, and interviewers inherit elevated expectations and responsibilities, the candidate experience often receives less attention than it should. Here's the thing – job seekers remember bad interviews experiences. This isn't to say that employers should go easy during an interview to coddle the candidate's feelings; interviewers need to challenge the applicant's ability to answer difficult questions in order to evaluate their technical prowess and emotional intelligence. 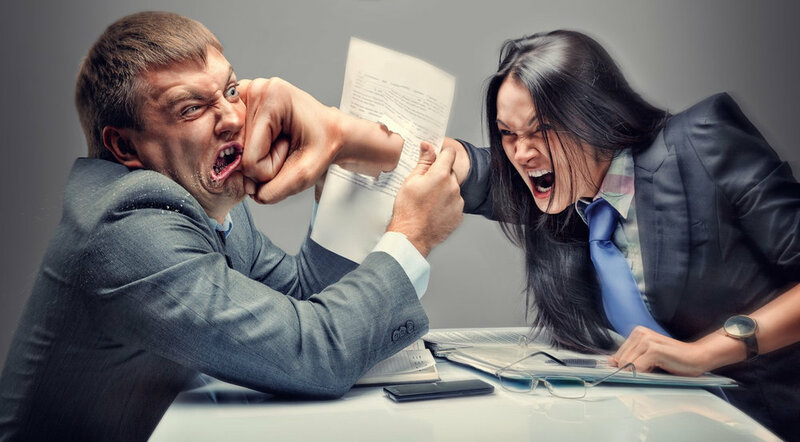 Unfortunately, there's drama when employers fail to effectively manage the process, which leads to animosity, confusion, and a lousy reputation as an employer. Some employers do an amazing job of managing the customer experience. Others, not so much. Here are 7 steps employers can take to improve the candidate experience. View applicants as potential customers. Because they are. Each company has a brand for their products or services it works hard to protect. Just as job seekers need to mind their manners, so should anyone touching the employment process. A nasty candidate experience can poison the well for a company's employment brand, but it doesn't stop there. Why would a consumer want to spend their money with a company which treated them rudely? And dissatisfied customers tend to relay negative experiences. Don't believe me? Take a look at Glassdoor. Niceness counts. Focus on the candidate's basic needs. Give them a bottle of water. Offer a bathroom break. Have snack bars or fruit available. Interviews can take a long time, being sensitive to these types of things support their comfort and well-being. Invest time in applicant tracking and follow-up. This is a massive challenge for employers. Recruiters balance communications with vast numbers of job applicants, interviewees, hiring managers, and other stakeholders in the hiring process. This unwieldiness breeds the most frustrating aspect of the process – a lack of applicant feedback. Applicants often hear nothing after submitting a resume. They often hear nothing after interviewing. They often hear nothing after someone else is selected for the job. It's not malicious; it's usually due to a lack of staff and systems to support the process. Be more transparent about salary ranges. Companies are understandably sensitive about sharing specific salary data. Publishing everyone's salary can cause a lot of discord, and can reduce a company's negotiation leverage. There's no need to be specific, most employers enter the process with a predetermined range to recruit against, ultimately negotiating a specific figure within that range. Let's be more sensitive to everyone's time – many people wouldn't bother to apply to jobs below their salary range, but instead find themselves engaged in a protracted process where the salary range isn't articulated until late in the game. A bit more transparency could potentially improve the quality of the applicant pool by enabling those whose expectations exceed the range to self-exclude. Publish benefits information. Like salary data, many employers wait to share their benefits until late in the process. Perks can vary wildly between employers with major differences in health insurance cost, tuition reimbursement, vacation time, holidays, and other perks. Disclosing benefits information early can be great selling tool for employers, and better help applicants understand what receiving an offer would truly mean in terms of dollars, cents, and quality of life. Teach everyone involved in the process how to interview. Making an effective hiring decision is a learned skill, but many employers give their interviewers little foundation to work with other than a job description. Here's a dirty little secret – most interviewers are "winging it," and are trying their best to make an effective decision based upon a gut feeling using inadequate data points. Any employee who interviews on behalf of a company should be required to demonstrate mastery of behavioral, competency-based interviewing, as well as a clear understanding of what kind of questions and considerations are legal or illegal. Prioritize the interview over other work. Having a candidate wait unnecessarily past their appointed interview time can be rude. Having a candidate wait because you wanted to respond to an email, take a call, or stop by somebody's desk? It's time to reexamine your priorities. Then there's forgetting about the interview and leaving the candidate in a conference room with nothing to do... That's borderline sociopathic behavior. Don't be a sociopath. Respect the candidate's time as much as you respect your own. Even more so.